Think Big | Build Big | Work with the Best! 70% of the global wealth lies in real estate. Hence, professionals who raise, manage and deploy this wealth are paid handsomely. You can transform infrastructure in major cities or break new records with world class projects. One day you might be planning in China and other day managing in Dubai. There are endless possibilities. The scope of success is immense. Thinking about what to do next? Built environment industry is the most upcoming sector with an ever growing demand for skilled professionals. Indian built environment is going through a fundamental shift where the sector is finding new ways of doing business based on credibility and transparency. This big change is driven by the government in the form of Real Estate Regulation Act, Goods and Service Tax (GST), Benami Transactions Act amongst many other initiatives. The above reforms coupled with the sudden demonetization did bring in an overall slowdown in the economy. The real estate and construction sectors specifically, that largely operate on cash were hit in the short term, as a result of which, organisations in this sector have also been impacted. The sector is moving towards more and more professionalism day by day and qualified youngsters will find a better pitch to begin their innings. In the long term, India will compete with developed economies in terms of professionalism and transparency in this sector, while currently the sector is going through turbulence and dynamic disruption. Organizations that are able to adapt and embrace changes will perform better while others will struggle and perish. In this major revolution where professionalism and expansion are changing the face of the industry -the demand of qualified professionals is growing day by day. Our programs shape you into a specialized professional ready to meet this demand. 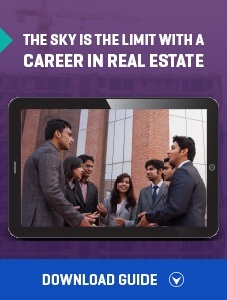 Sanjay Dutt FRICS MD & CEO, TATA Housing & TRIL talks about about professionals are considering real estate as a career.